The Far North’s burgeoning craft beer scene will celebrate its coming of age when local brewers join forces to host the region’s first ever festival on Saturday 11 May at Hemingway’s Brewery Cairns. Cairns Craft Beer Festival will showcase the freshly made brews from Hemingway’s Breweries Port Douglas and Cairns, Barrier Reef Brewing Co, Stratford, Macalister’s Brewing Company, Smithfield, Coral Sea Brewing, Cairns and Townsville Brewery along with a special Festival brew collaboratively crafted by a representative brewer from each participating establishment. Hemingway’s Breweries’ CEO and co-founder Tony Fyfe is at the helm of Cairns Craft Beer Festival which he says will be an opportunity for local craft beer enthusiasts to toast the creativity and success of the region’s craft beer. “Our event really is an open invitation to anyone and everyone who wants to celebrate the industry’s meteoric rise, learn about the art of craft beer making from the experts and most importantly, have some fun. 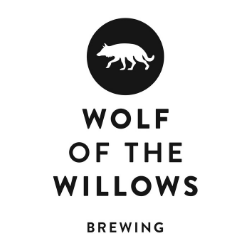 Mr Fyfe said the brewers will meet in the coming weeks to workshop the characteristics and flavour of their collaborative brew that will be made in Port Douglas during April. Cairns Craft Beer Festival will kick off from 12 noon on Saturday 11 May and run throughout the day until 8pm. Entry is free with festival-goers invited to sample the craft beers with either a 200 ml taster at $4 or a 425 ml sloop at $8. Added to the beers there will be a selection of food stations with food/beer pairings, beer appreciation tours and entertainment.